Tucked away in the rolling hills of Lompoc lies a small, cool appellation that is home to over 59 vineyards and estate wineries producing some of the most celebrated Pinot Noirs in California, as well as noteworthy and complex Chardonnays. Many locally grown wines continue to impress with 91+ or higher ratings from Wine Spectator Magazine and having won prestigious winemaking awards. This special area is known as the Sta Rita Hills and it’s located in Lompoc, California. Wine growing goes back only 40 years in the Sta. Rita region of Lompoc, but it wasn’t until 1997 that hard data on soil, elevation and weather began and boundaries were drawn in hopes of making this unique area an official wine region. In 2001 Sta. Rita Hills was officially deemed an ‘American Viticulture Area’ or a designated wine grape-growing region in the U.S. The area experienced a slight name change on their wine labels to Sta. Rita Hills in 2016 when a Chilean Winery, Vina Sta. Rita Hills, contested that the almost identical names diluted their brand value. This is why you will almost always see Santa Rita Hills written as Sta. Rita Hills. Because of the cool weather, marine influence, soils and other factors – the crop yielded from this particular plot of land has intense flavors and a natural acidity that have led to vineyards in this region reaching critical acclaim. Many of Lompoc’s most celebrated winemakers grow their grapes in this region and host their tasting rooms in this beautiful scenic setting. The combination of world-class wines and gorgeous views of rolling hills and sprawling wineries makes for the ultimate wine tasting experience. Turn your wine tasting trip into a weekend wine tour getaway by visiting Midtown Wineries and the Lompoc Wine Ghetto. If you plan on extending your stay, there are several hotels situated near Sta. Rita Hills that will make your next adventure easier than ever to navigate. 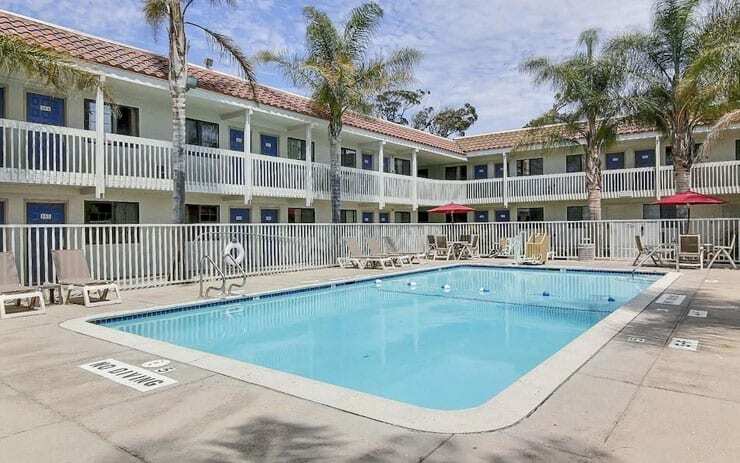 To make it easier to find a place to stay that works for your activities, we’ve created an interactive map of Lompoc to help you find the hotel that best fits your needs. Come experience what Sta. Rita Hills and Lompoc has to offer, start planning your trip today!